On November 18, 2016 at approximately 12AM Transit Police officers assigned to the North District received a radio call to respond to the MBTA's Harvard Sq. Station for a report of an Assault & Battery. Upon arrival officers were met by the victim, a 67 year old male, who informed the officers of the following: the victim complained of a male smoking on the inbound platform. The male took exception to the victim's complaint and proceeded strike him in the face with a closed fist. The victim sustained an injury to his lip and facial area. The assailant fled after the assault. 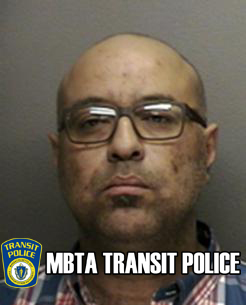 On November 28, 2016, after a thorough investigation by Transit Police Detectives, Anas Elhalabi, 47, of Canton was arrested for Assault & Battery on an Elderly Person. Elhalabi appeared in Cambridge District Court and was formally arraigned on today's date. Recognize this woman ?? Please contact us if you do. The subject depicted within is wanted for questioning relative to an Assault & Battery Dangerous Weapon (Hot Liquid), at the Dunkin Donuts at Dudley Station, on Monday, November 14, 2016, at approximately 3:04 PM. The victim sustained substantial burns to their torso area. 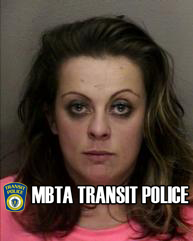 relative to an assault and battery on an MBTA employee onboard a bus at the intersection of Talbot Avenue and Colonial Avenue in Dorchester on Saturday, November 19, 2016, at 4:00 PM. AG Healey announces New Hotline to report Incidents of Bias. BOSTON – Following reports of harassment and intimidation of racial, ethnic and religious minorities, women, LGBTQ individuals and immigrants since Election Day, Attorney General Maura Healey today announced that her office has established a new hotline for Massachusetts residents to report such incidents. “The Police Departments across the Commonwealth are committed to ensuring that the constitutional rights of all individuals including racial, ethnic, religious, and LGBTQ groups are not violated by any form of harassment and/or intimidation contrary to the law and stand ready to investigate any allegations of wrongdoing and take the appropriate enforcement action,” said Chief Brian Kyes, President of the Massachusetts Major City Chiefs. The hotline will be managed by attorneys and staff in the AG’s Office. While not every incident will be appropriate for legal action, the AG’s Office will be tracking reports and appropriate matters may be referred to local law enforcement or the Attorney General’s Criminal Bureau. Any Massachusetts resident who has witnessed or experienced bias-motivated threats, harassment or violence may call the Attorney General’s Hotline at 1-800-994-3228 or fill out a civil rights complaint form at this link. Residents may also contact the AG’s Office through its social media platforms, including Facebookand Twitter. Potential hate crimes – including bias-motivated assault, battery, and property damage – should also be reported to the local police in the first instance. Residents who fear for their immediate safety should call 911. Most hate crimes are prosecuted by the local District Attorney’s Office. However, in some cases, the offender may also be prosecuted civilly, either in addition to criminal charges or instead of criminal charges, by the AG’s Office under the Massachusetts Civil Rights Act (MCRA). The MCRA protects the rights of all residents and visitors to Massachusetts to be free from bias-motivated threats, intimidation, and coercion. The MCRA protects the right to use public parks and transportation, walk on public streets, attend school, live peacefully, and enjoy other basic rights. Under the MCRA, the Attorney General may bring legal action against a perpetrator who threatens, intimidates, or coerces another person on the basis of that person’s membership in a protected group (e.g., race, national origin, religion, age, gender, gender identity, sexual orientation, or disability) or protected activity (e.g., exercising the right to vote or the right to associate). Whether it’s potential hate crimes, housing discrimination, or wage theft, the AG’s Office encourages immigrant communities to come forward with their concerns without fear of reprisal based on immigration status. Serial Grafitti Vandal at it again. 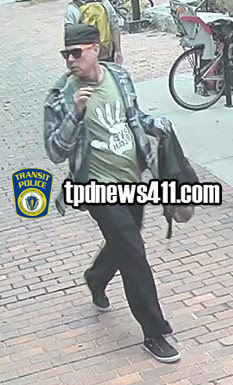 In 2015 Transit Police announced the identification and arrest of a serial Graffiti Vandal who defaced numerous MBTA stations as well as City of Boston property (see posting here). MARC MEADOWCROFT, 20, of Revere ultimately entered a Guilty Plea in Boston Municipal Court and was given an 18 month suspended sentence on particular charges and a Continuance w/Out a Finding on others. MEADOWCROFT agreed to cease his criminal conduct of vandalism on MBTA property and in doing so remained free from jail. Unfortunately, MEADOWCROFT did continue his criminal ways of vandalism. In January 2016 MEADOWCROFT yet again defaced MBTA property at Green Street station with his familiar Tag name of "CIGA". MEADOWCROFT was also captured on our public safety cameras system engaged in this criminal act. Currently there are several warrants in existence for MEADOWCROFT'S arrest for Graffiti related activity. MEADOWCROFT is being actively sought by Transit Police. If you know the whereabouts of MEADOWCROFT and/or have information on his whereabouts we would like to hear from you. You can contact the TPD and remain 100% anonymous via our Text a Tip Line 873873, our SeeSay App or by calling 617-222-1170. Vandalism to MBTA property is costly to all of us. The TPD will dedicate resources in identifying, locating and arresting those who engage in such activity. On November 17, 2016 at approximately 9PM a Transit Police officer assigned to the Central District was on patrol at the MBTA's Back Bay station. While walking through the men's restroom the officer observed a man and woman, later identified as Michael Leate, 36 of Boston and Shauna Keller, 25 of Braintree, engaged in sexual activity in a bathroom stall. The officer interrupted the duo, a subsequent investigation revealed Leate was in possession of stolen checks and Keller was in possession of a controlled substance believed to be heroin. Additionally, Keller furnished a false name to officers. It was later determined Keller had warrants in existence for her arrest issued from Salem District Court for Possession of a Class A Drug and Shoplifting and East Boston District Court for Possession of a Controlled Class B Substance. Leate and Keller were placed into custody and transported to Transit Police HQ for the arrest booking process. Both will face Lewd, Wanton and Lascivious Conduct. Leate will additionally be charged with Possession of Stolen property and Keller will be additionally charged with Possession of a Controlled Substance and False name at Booking. 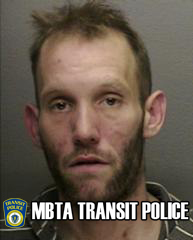 On November 17, 2016 at approximately 6:20pm Transit Police officers assigned to the North District received a radio call for a person possibly struck by an MBTA Commuter Rail train in Wellesley. Multiple Transit Police units responded along with Wellesley Fire and EMS. Transit Police personnel on scene report the following preliminary information: a male, approximate age of 59, while trespassing on track 2 just beyond the Bacon Street overpass was struck by an outbound Worcester Line train. The male has been pronounced deceased as a result of injuries sustained. Transit Police detectives along with representatives of Middlesex District Attorney's Office are investigating the facts and circumstances surrounding the incident. Foul play is NOT suspected. Media inquiries should be directed to Superintendent Richard Sullivan at rsullivan@mbta.com. Recognize this bicycle thief ? Please contact with info relative to his identity. 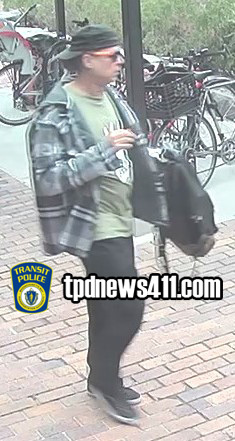 The subject within above is wanted for questioning relative to a bicycle larceny at Stony Brook MBTA Station on Thursday, October 20, 2016, at approximately 3:35 PM.